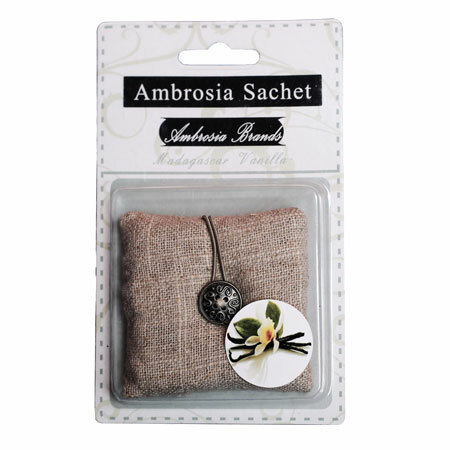 Ambrosia sachets infused with the scent of Madagascar Vanilla, the sweet fragrance of crème fraiche, whipped crème, vanilla bean and sweet balsam. Like homemade cookies baking in the oven, nothing evokes the comfort of home like our Madagascar Vanilla sachets, with the sweet fragrance of crème fraiche, whipped crème, vanilla bean and sweet balsam. I have this sachet hanging in my car and it’s perfect! It’s not too strong…just the right amount of scent to keep the car smelling fresh.